* 3 Speed Limit !! * Full Chain Guard !! *Lithium Battery 36V 7.2AH !! Motoworks Australia ships all their products the following day after payment confirmation. This ensures that you will receive your purchase as soon as possible without any unnecessary delays. (Mobile perferably) - We cannot and will not ship your item out unless we have a contactable phone number for delivery. This is MANDATORY! 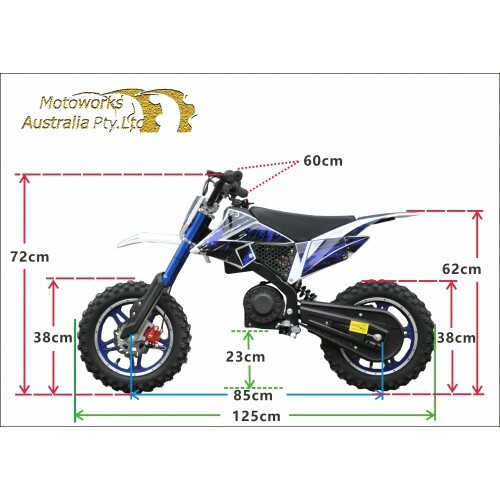 To keep us supplying you the cheapest delivery rates, we require a person to help the with the delivery of the bike as it requires two people to move the package off the truck and into the garage/house. It is not overly heavy, so all that is needed is an adult to help. Thank you. 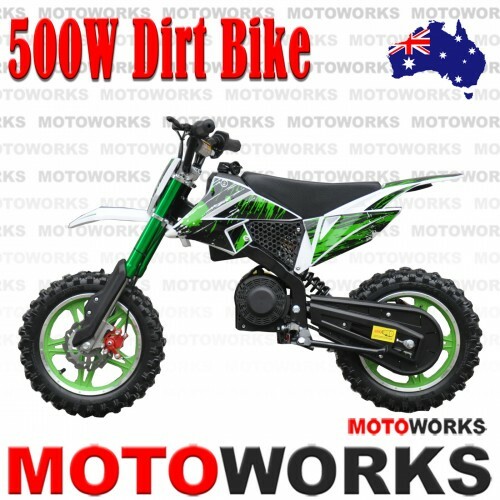 At Motoworks Australia we extend a 30 days parts manufacturers warranty from date of delivery. Shipping and Labour are at the purchaser's expense. 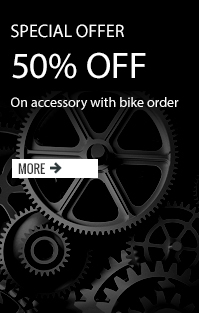 Warranty applies only to bike parts which are faulty or defected due to the manufacturer. Warranty is applicable for thirty (30) days from date of delivery. Condition of this warranty states that the bike must be properly assembled and checked thoroughly before riding. Our warranty does not replace parts which are consumable or expendable such as globes, fuses, chains, tyres, battery and tires unless they were faulty initially. Warranty also does NOT cover wear and tear or damage due to mishandling, misuse, accidents, neglect or intentional damage caused by the user or by any other event. In the event of claiming parts under warranty, please send the faulty part back to our warehouse and we will ship a replacement free of charge. Upon sale, the purchaser takes full responsibility for the condition, state and quality of repair. These bikes need to be maintained to the same level as a motor vehicle. We are not responsible for any issues arriving from improper maintenance. We do not accept exchanges or refunds in whatever circumstances. We will not be held liable for & warranty is voided if engine is not run in properly and faults occur due to this. Item must be returned within 7 days after the buyer receives it . The buyer is responsible for the return postage costs. Item must be new in original packaging. Please note postage is not refundable. If you have any questions, please feel free to contact us at 03 9357 5133.